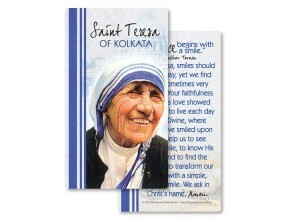 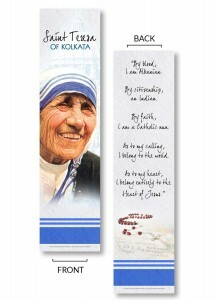 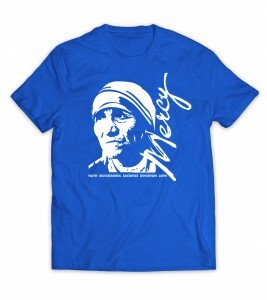 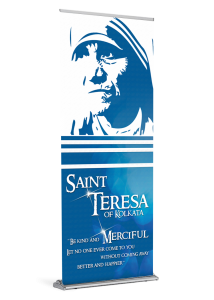 The Church will proclaim its newest saint on September 4, 2016: Mother Teresa of Kolkata. 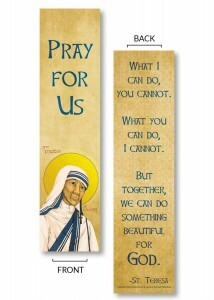 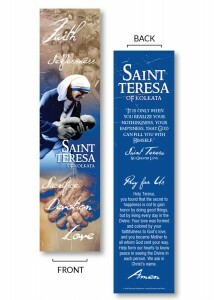 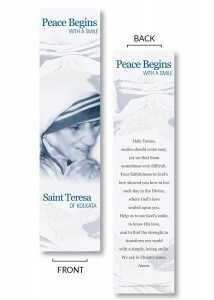 This bookmark, which highlights the simple blue and white habits of the Sisters of Charity, reminds us in a striking way of how we can be Christ to others. 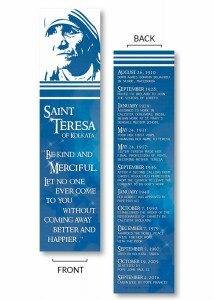 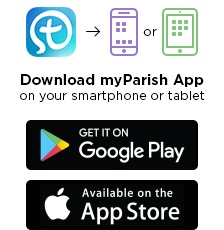 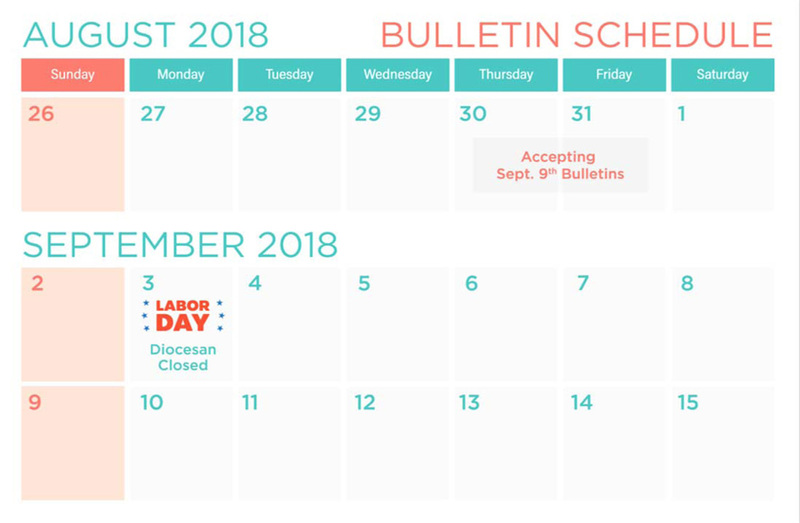 Celebrate with your parish the Church’s newest saint!